View a YouTube, have fun using VerDay reactive metal paints to create beautiful “industrial chic” art, home decor, jewelry, and accessories. Nothing beats Mother Nature for creating beauty. I have always admired the variety of textures, rusts and patinas collected on various metals after years and years of exposure to the natural elements. My friend, Cindy Shepard, actually cultivates these deposits by keeping an outdoor junk bucket. She fills the bucket with all types of metals including cans, nails and utensils, even old skates – and checks it every now and then for ‘progress’. 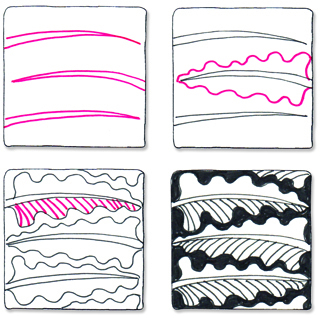 A great idea, however it does take a long time for the metals to react….. I don’t have that long! The solution is VerDay reactive metal paints from Ten Seconds Studio. 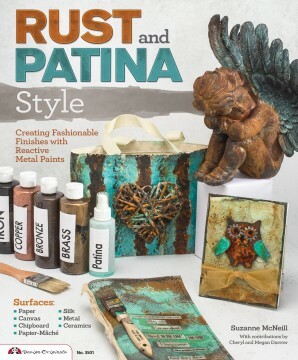 In the book Rust & Patina Style I use this fabulous reactive metal paint on everything!! 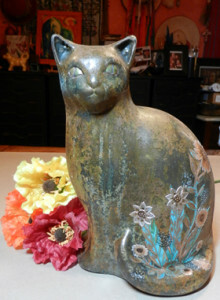 I added genuine rust and verdigris patina to wood, paper mache, gourds, fabric, paper – even tennis shoes and journals. 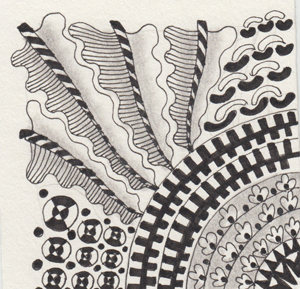 It works like a charm on all of these surfaces. Gourds are a favorite canvas for me, I love the way the paint works on these fun shapes. 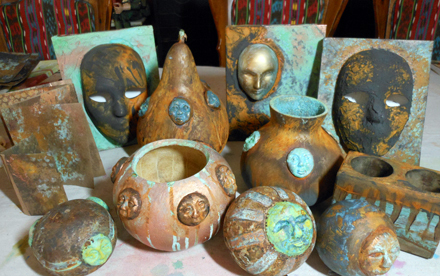 I just added a few nifty little sun faces molded from Apoxie Clay, (another great surface for VerDay paint). 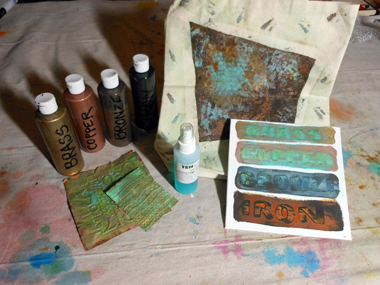 Play with texture, stencils and drips to create some beautiful effects. 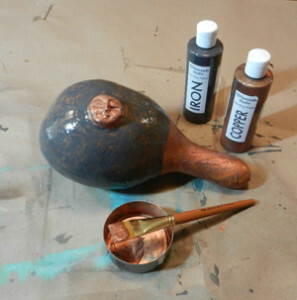 A handy little VerDay 5 piece set comes with everything you need to create rust & patina for art, accessories, jewelry and clothing. A perfect gift for an artist – or give one to the gardener in the family to add wonderful textures and colors to the garden.